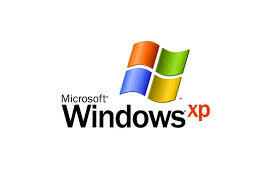 The end of XP life has been coined “XPocalypse.” Once Microsoft stops supporting XP, patches for known vulnerabilities will no longer be released for the 13-year-old operating system. Therefore, when a security update is released for supported operating systems, any cybercriminal or curious teenager can find out what the patch corrects and use the information to create exploits for unsupported systems. Your business will be in an indefensible position, and proprietary information will be at stake. If your organization is still running XP, now is the time to upgrade with a sense of urgency—but don’t make the mistake of focusing on a migration to just Windows 7. The pace of change in operating systems is accelerating. Microsoft used to release a new system every three years. However, release dates are becoming more frequent. If organizations focus on automating the operating system deployment process, they will be better able to adapt to the more frequent changes. Since these more-frequent changes are incremental in nature, automation ensures you can handle the small changes without treating them like monolithic problems. For example, organizations which automated their upgrade to Windows 7 back in 2009 had very little work to do to get ready for Windows 8 in 2012. Implementing such a strategy will allow your business to seamlessly upgrade to future systems as they are released, with minimum disruption. To optimize operating system deployment, use tools including the Microsoft Deployment Tool Kit (MDT) and System Center Configuration Manager (ConfigMgr). MDT provides tools, processes, and guidance for automating desktop and server deployments in small environments. ConfigMgr enables IT managers to manage all of the organization’s computers and servers through their entire lifecycle while supporting the information security and compliance needs of IT. By using these tools, you will protect your network and lay the groundwork to rapidly respond to changes and future operating system upgrades. One strategy for greatly simplifying operating system deployment is to ensure user settings and files are abstracted from the devices. This can be accomplished by using offline files, redirected profiles and folders, and tools such as Microsoft User Experience Virtualization (UE-V). UE-V is an enterprise-scale user state virtualization solution that delivers a user’s personal Windows experience across many devices. It is simple to deploy and can integrate with existing management tools like ConfigMgr. Once all user state is abstracted off the operating system, swapping out the device or upgrading is a relatively painless process. 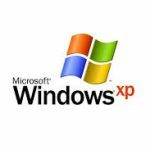 Windows XP end of life is a great time to re-examine your organization’s operating system deployment methodologies and start planning for the new normal. Doing so will lay a solid foundation for your current migration and enable easy system updates in the future. In the long run, being proactive will save time and resources and most importantly, keep your organization’s information secure.